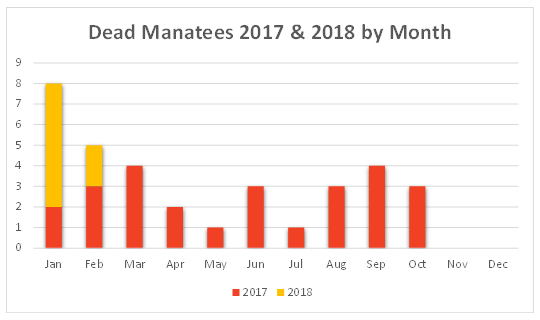 At least 25 of Belize's remaining manatees died in 2017, and almost 50 for 2018. These Google Maps show the locations where dead or injured manatees were observed. It is likely others were killed and drifted at sea or onto isolated shoreline. 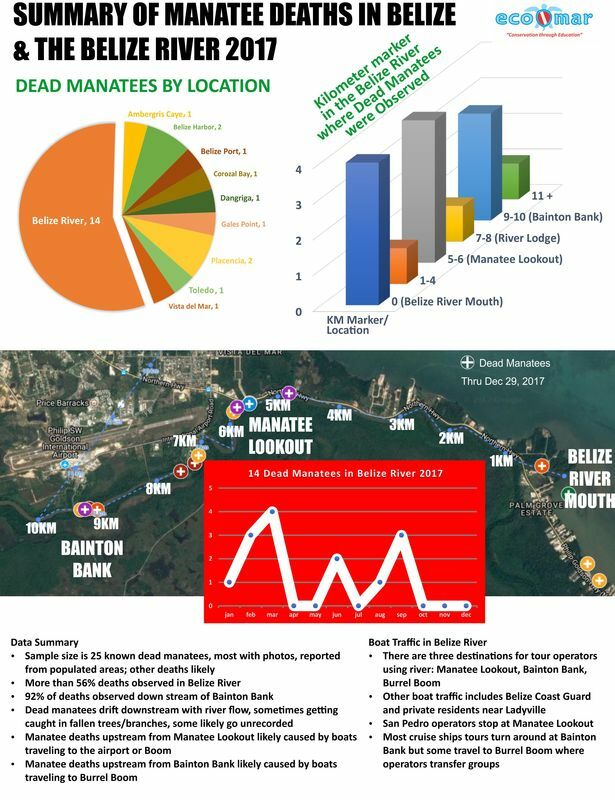 Endangered manatees in Belize, especially near the Belize River/Belize City area, are being killed at record numbers in areas where there are speeding boats with tourists to view manatees and other river life. For many years manatees have been washing up dead, and the Manatee Eco Warriors are working together to ensure that a long term solution to save Belize's manatees from EXTINCTION is found. Data from Jan 1- Feb 6, 2018. Adopted in Kingston, Jamaica by the member governments of the Caribbean Environment Programme (CEP) on 18 January 1990, the SPAW Protocol preceded other international environmental agreements in utilizing an ecosystem approach to conservation. Also know as the Cartagena Convention, presently has 25 (out of 28 possible) States that are Contracting Parties, of which Belize is one which ratified in 2002. The Convention and its Protocols constitute a legal commitment by these countries to protect, and manage their common coastal and marine resources individually, jointly, and in a sustainable manner.